Finding the right Medicare plan matters. With hundreds of policies to choose from, and so much information to understand, many people guess when choosing a policy and end up paying too much for a plan that doesn't cover what they need. Open enrollment period for Medicare begins October 15. To help baby boomers avoid making the most common mistakes, the nonprofit National Council on Aging (NCOA) created My Medicare Matters. For more than 60 years, NCOA has worked to improve the health and economic security of older adults through education and decision support. My Medicare Matters provides a clear and friendly guide to help boomers evaluate their individual needs, compare their options, enroll in a plan, and sustain the best coverage for years to come. "People typically spend most of their life with healthcare more or less handled for them by an employer," said James Firman, NCOA president and CEO. "With Medicare, your challenge is to translate the kaleidoscope of Medicare options into coverage that works for you. My Medicare Matters is a reliable resource to help boomers choose a plan that best meets their needs." If you are aging into Medicare, your initial enrollment period is based on your 65th birthday. To avoid long-term penalties, make sure you know what you have to choose—and by when. If you or your spouse are still working when you turn 65 and your insurance meets certain requirements, it may make sense for you to delay enrollment in Parts A, B, and D. Find the rules here. On MyMedicareMatters.org, you can take a free, confidential Medicare QuickCheck and receive a personal report with your initial enrollment period, or special enrollment period if you or your spouse are still working, and recommendations about when you should sign up for which parts of Medicare. If you are new to Medicare, you have a fundamental choice to make: enroll in original Medicare or opt into a Medicare Advantage plan. It is very important that you understand the pros and cons of both types of coverage. Original Medicare is a fee-for-service program. Most consumers supplement the government benefit with a private Medicare Supplement (also called Medigap) policy as well as a Part D plan for their prescription drugs. 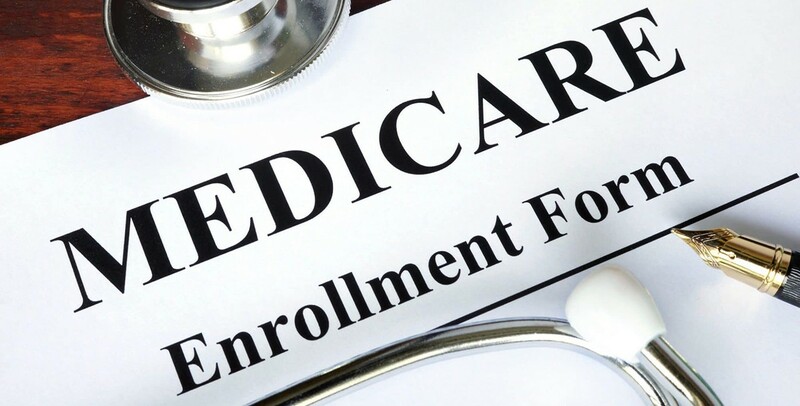 A Medicare Supplement policy may cover some services that are not included under the standard Medicare Parts A and B as well as some out-of-pocket costs such as co-insurance costs for care at skilled nursing facilities, the Part A deductible, and foreign travel emergency care. If you choose a Medicare Supplement policy, you will pay an additional monthly premium. You won't need prior authorization to use specialists or to get second opinions. A Medicare Advantage Plan (Part C), on the other hand, takes the place of original Medicare Parts A and B. These plans work more like group insurance. They are sold through approved, licensed insurance companies and may have an additional monthly premium. Often, Medicare Advantage plans include prescription drug coverage as well as services that original Medicare does not such as health/wellness programs and vision care. However, a Medicare Advantage plan may also limit a person's ability to use doctors and hospitals, and also require prior authorization to use specialty services. During open enrollment, you have the option of changing from one type of plan to another if your needs have changed. Do you have health insurance from another source? Which doctors and hospitals do you use? Which prescriptions do you need and what pharmacies do you get them from? You don't have to do this on your own. You can get help from a trusted source that can help you think through your options and compare plans. If you're unsure about your choices, start with a Medicare QuickCheck to get a personalized report on your options and use that to start a conversation with a licensed insurance agent. Millions of older adults are eligible for billions of dollars in programs that can help them pay for their prescriptions and health insurance premiums, deductibles, and coinsurance. If your income in retirement is modest, you should find out if you qualify for assistance. NCOA also offers a free online BenefitsCheckUp where you can see if you're eligible and apply online for Extra Help or Medicare Savings Programs. Or, contact your State Health Insurance Assistance Program (SHIP) to see what's available to you. How much have you paid out-of-pocket in the last year—and for what? How is your plan changing for the coming year? How will that affect your out-of-pocket costs?